In this study, we report the ecofriendly biosynthesis of ZnO and MgO nanoparticles using Pisonia grandis R. Br. Leaf extract for possible applications as biomaterials and electronic materials. GC-MS results proved some of the phytocompounds were present in the ethanol extract of plant material. The successful formation of zinc oxide and magnesium oxide particles has been confirmed by FTIR, XRD, SEM, EDX, and PSA analysis. XRD analysis showed that the ZnO particles were hexagonal phase and MgO particles as face-centered cubic geometry. A plausible formation mechanism was also predicted. 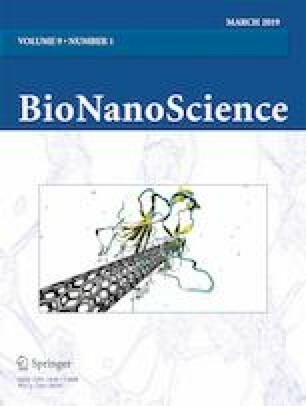 Antimicrobial efficacy evaluations of biosynthesized ZnO and MgO nanoparticles against Staphylococcus aureus, Bacillus subtilis, Micrococcus luteus (gram-positive bacteria) and Escherichia coli, Salmonella paratyphi, Klebsiella pneumonia (gram-negative bacteria) and fungal strains Aspergillus Niger and Candida albicans. M. luteus and K. pneumonia exhibited good antibacterial behaviors compared to the other bacterial species. The online version of this article ( https://doi.org/10.1007/s12668-018-0573-9) contains supplementary material, which is available to authorized users. This research was supported by the Future Material Discovery Program of the National Research Foundation of Korea (NRF) funded by the Ministry of Science, ICT, and Future Planning (MSIP) of Korea (2016M3D1A1023532).